These teachings are offered in accordance with the Rigpa Shedra’s policy of making the Dharma freely available wherever possible. Please understand that listening to recordings is not a substitute for actually attending classes and receiving instructions directly. Aside from the obvious benefits, such as the ability to clarify points with the teacher and fellow students, live attendance also enables one to receive the oral transmission, upon which the tradition places considerable emphasis. If you like this service, please support us. 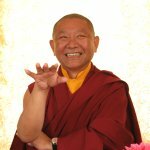 Ringu Tulku Rinpoche teaches on An Instruction on the View of the Mahayana Clarifying the Two Truths, a short text on the two truths by Patrul Rinpoche. Ringu Tulku Rinpoche answers Rigpa Shedra students' questions. His advice is also available online as video on the Rigpa Shedra site. Tsoknyi Rinpoche answers questions from students during his visit to the Rigpa Shedra in Pharping. His advice on how to study is available online as video on the Rigpa Shedra site. 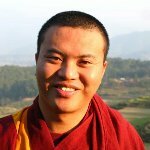 Khenpo Namdrol, by means of introducing the Rigpa Shedra students to the "Introduction to the Middle Way" (Skt. Madhyamakāvatāra), shows how the teachings of the intermediate and final turnings of the Wheel of the Dharma, such as the Uttaratantra Shastra, fit together and eventually culminate in the Dzogchen teachings. Khenpo Pema Sherab taught the Three Year Retreatants in Lerab Ling on Longchenpa's Thirty Pieces of Advice from the Heart. 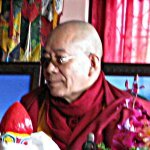 Khenpo Dawa Paljor taught the Rigpa Shedra East 2009 in Pharping on Mipham Rinpoche's commentary on the Uttaratantra Shastra. Khenchen Pema Sherab visited the Rigpa Shedra on 27th December 2008 and gave a teaching connecting the great texts being studied at the Shedra: Mipham Rinpoche's Gateway to Knowledge (Khenjuk), Shantideva's Bodhicharyavatara, Maitreya's Abhisamayalankara, the Uttaratantra Shastra and Mipham Rinpoche's The Lion's Roar: A Commentary on Sugatagarbha with one crucial point: If teachings or practice remain simply knowledge there won't be much benefit. It is important to apply the teachings to oneself in order to transform one's mind. 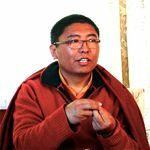 Khenpo Namdrol taught in December 2008 on Mipham Rinpoche's treatise on buddha nature: The Lion's Roar: A Commentary on Sugatagarbha. Ringu Tulku Rinpoche answered several questions during his second visit at the Shedra East in Pharping, 5th March 2008. How does the idea of successive lives fit with the emptiness of self? How to assess the Bodhicharyavatara apart from studying it?? How do prayers have an effect? Is there a contradiction between the scientific world view and the Abhidharma? 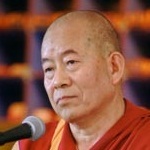 Sönam Tobden's teachings on Khenpo Kunpal's commentary on the Bodhicharyavatara called The Nectar of Manjushri's Speech. The four months of teachings on this commentary finished on 4th of April 2007. There are more than 200 hours of teaching MP3 online.